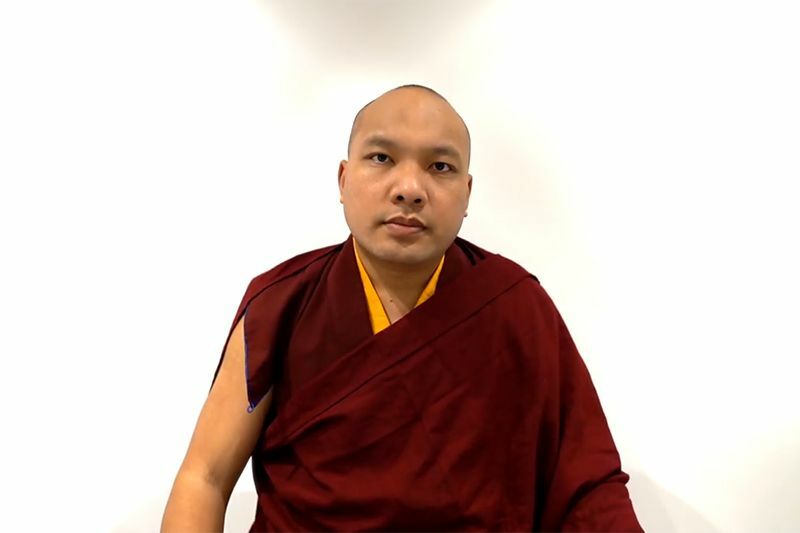 The extensive Ritual of Offerings to the Gurus, always performed on the last day of the Kagyu Monlam Chenmo, was composed in 2005 by His Holiness the 17th Karmapa. It is a compilation drawn from many famous Buddhist texts. The puja often serves as a memorial to a particular Lama who has passed away, and this year a large portrait photograph of the Eighth Kyabje Dorzong Rinpoche was placed centrally below the shrine. 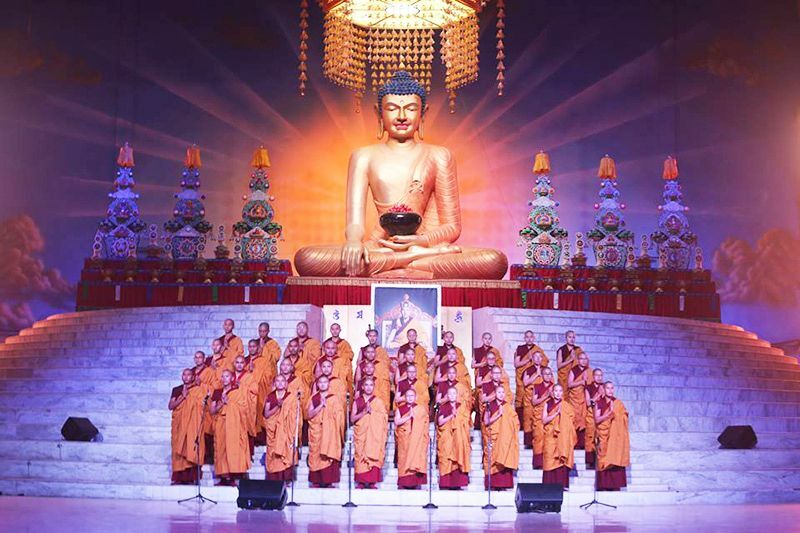 The stage had been rearranged following the Sixteen Arhat and Alms Procession the previous day. Four of the victory banners from that procession remained on the top tier of the stage, and the others were arrayed in the wings. Below them, three tiers of heavily laden offering tables stood to left and right of the pagoda shrine containing the infant Buddha. The bottom tier was replete with pyramids of fruit— black and green grapes, oranges, melons, and different types of apple. The middle tier held the seven symbols of royalty and the eight symbols of auspiciousness, and the top tier held the eight auspicious substances. These were to be used in the afternoon. 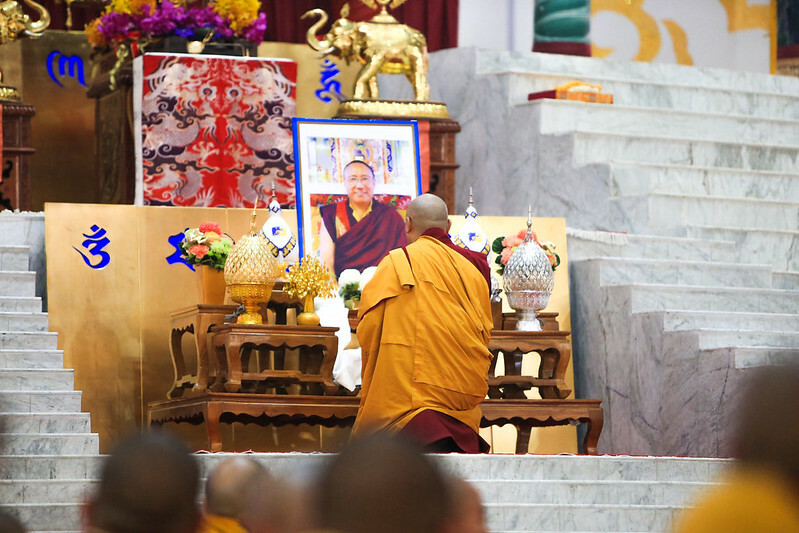 Having completed making the offerings, His Holiness lit candles in front of the photo of Kyabje Dorzong Rinpoche and sat in meditation for a while. Dorzong Rinpoche had been ill with cancer for some time. At first, it had seemed he was recovering but in October 2016 his condition began to deteriorate and steadily worsened. 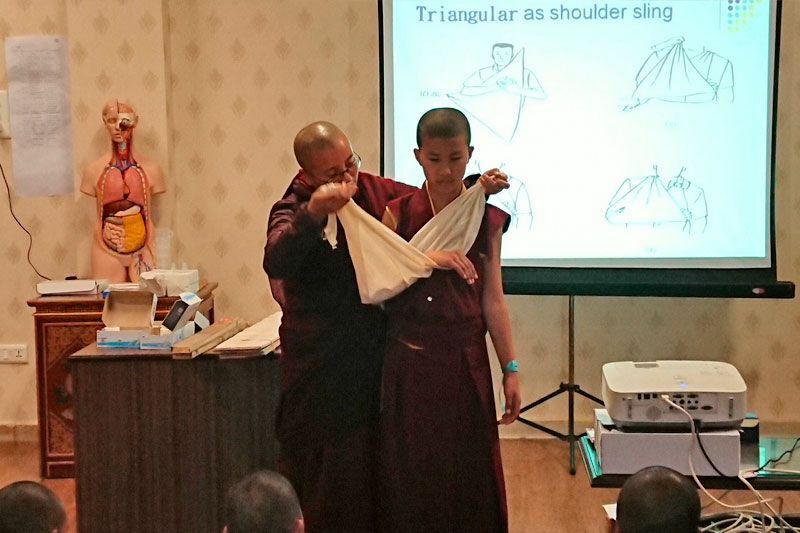 At the end of January, the Karmapa spoke with Rinpoche in Delhi and arranged for his medical evacuation to a famous hospital in Taiwan, where he was treated with both Chinese and allopathic medicine. Once more his health began to improve, but on 15th February 2017, when further complications arose, Rinpoche asked to be transferred to the local Thrangu Dharma Centre, where, on 16th February, to the chanting of the Mahamudra Prayer, he assumed the bodhisattva posture and entered the meditative state of thugdam. 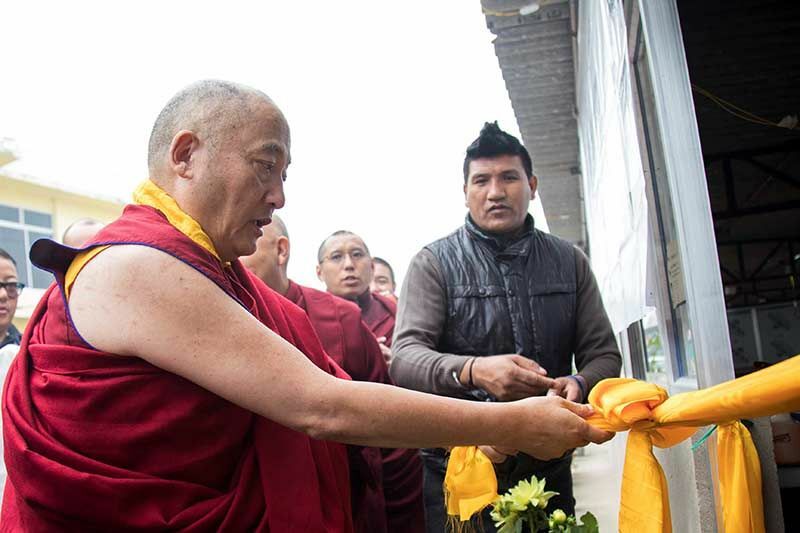 On February 19th, while his great contribution to the Dharma and to the benefit of sentient beings was being commemorated at the Kagyu Monlam, he was still in thugdam. 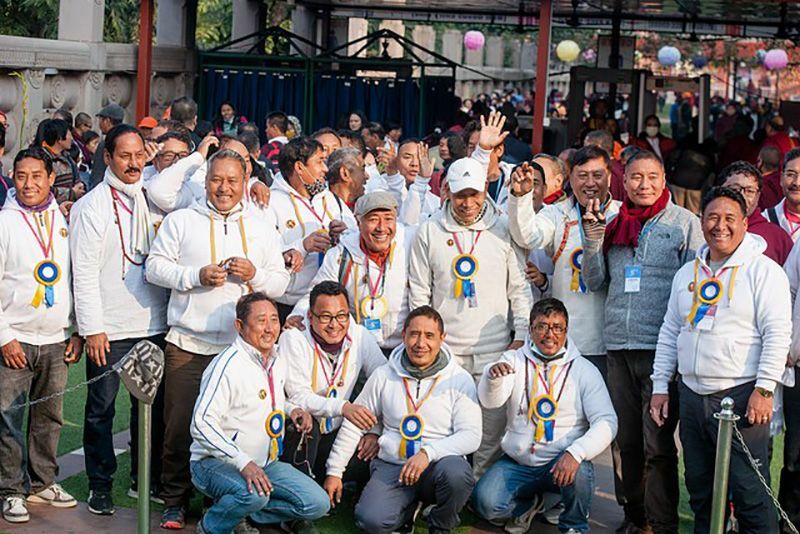 His Holiness slipped away during the morning session to visit the Mahabodhi Temple in order to make further offerings for auspiciousness on the final day of the Monlam. He returned later to conclude the session. In the afternoon, during the closing session of the Monlam, everyone joined in chanting three times a special prayer which the Karmapa had written, a supplication for the swift return of Dorzong Rinpoche’s reincarnation.